Sorry to disappoint everybody that was hoping for Asuka to give Roland the Five-Point Palm Exploding Heart Technique. See you on Monday, everyone, and have a great weekend! The first Patreon bonus goes up tonight! 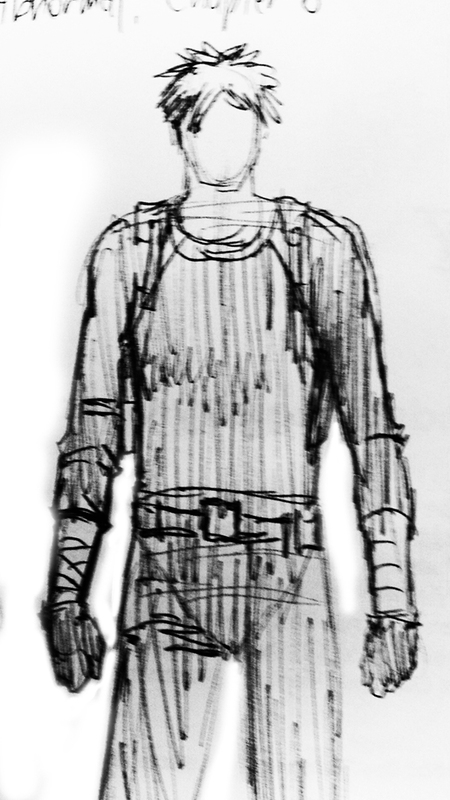 Follow through on the link and pledge just a single dollar per month and you'll see the concept sheet for a major character's redesign in Chapter 8! Who is this man in black? Becoming a patron is the only way to find out! Indeed! But... what's Asuka going to do now? Well I never don't want to see the Five-Point Palm Exploding Heart Technique..
God, that lazy tap on her shoulder was great! This was a really good scene, I tip my hat to you, sir. I don't think she knows how to process that information! An appropriate ending to an epic sparring match! And the perfect ending to the scene. "I just didn't do that for the bro cred" is another of my favorite bits of dialog.